I do not blame fictitious Jon for her failure. The influence of teachers on their students is highly overrated. The real influence on how children turn out comes from the home. An article by Time Magazine quotes two studies that show that parental involvement — checking homework, attending school meetings and events, discussing school activities at home — has a bigger impact on their children’s educational achievement than the effort expended by either teachers or the students themselves. It also quotes a third study that shows that schools would have to increase spending by at least Ksh 80,000 per student to achieve the same results that are gained with parental involvement. In other words, it is family’s social capital that predicted academic excellence. What we learn from this is that parents have to take more interest in their children’s schooling. This should start with the basics of what subjects they are taking, which extracurricular activities they are involved in, their performance, discipline, and attendance, how they integrate in the school community and their general morale. They have to understand that teachers are mostly transient figures in a student’s life. It is rare to get a teacher like Jon (quoted above from the Onion), who will take interest to figure out why a student is struggling. In the very rare event that they do, the contribution of the teacher can only do very little in the long run. Schools on the other hand have to find ways to involve parents in the lives of their students. There are numerous freely available tools that schools can adopt that gives parents access to the progress of their children. Education has been berated for being slow to adopt information technology. It is possible to have performance, discipline, attendance and all other information available live in a school portal where parents can access and follow up with their students. Parents have the highest stake in the education of their young ones. If there is intervention required, they are sure the most likely people to care most and be of greatest help. Whether or not young people get into tertiary education especially here in Kenya is mostly a product of the financial muscle of their parents. For majority of Kenyans, Form 4 is the highest level of education their parents will sponsor. From that point on, they have to fend for themselves. As a nation, we must embrace self education as a way getting our under-privileged youths to develop income generating skills. This of course does not mean replacing loans, bursaries and other forms of sponsorship. My champion here is young Njeri Chelimo, founder of Nairobi Developer School. At the tender age of 20 she has already achieved what most of us can only hope to achieve in a lifetime. An A performer as a student and with all elite degree programs open for her, she forfeited her admission and chose to teach herself programming. In one of her early blog posts, she says “I am passionate about self learning! 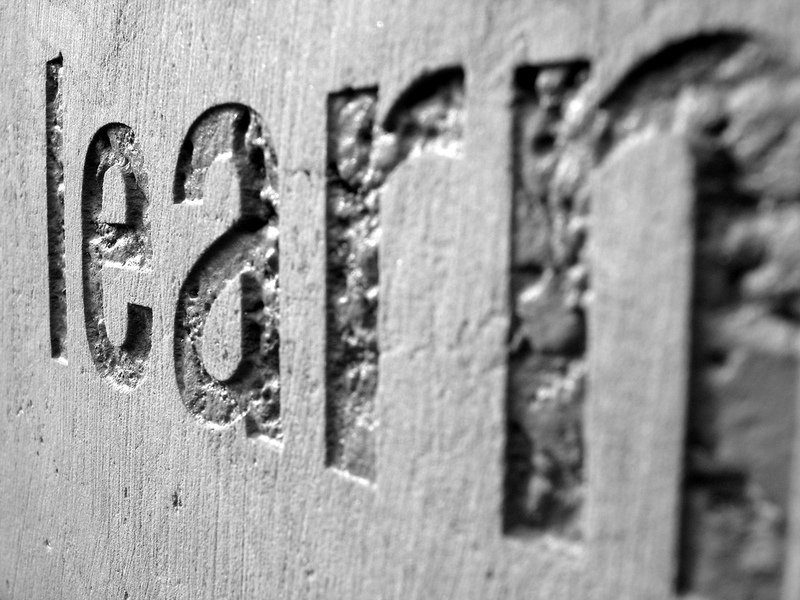 … I believe that self learning is the purest form of learning. No pressure. You chose what to learn, when to learn it, how to learn it, and most importantly, you become a master of what you are learning. It allows you to go to extents you would have never imagined! … Just to be clear, self learning does not mean that you do not have a teacher; it simply means the teacher does not dictate what/how you learning. She is now director at Nairobi Developer School which she founded, and helping a lot more young people to self learn. I believe in giving young people access to ways of gaining new skills outside the structured formal schools. The challenge of those of us who teach themselves new skill is accreditation. Though I have practical skills that I have learnt and that add practical value to my ability to work, no employer will recognize those skills. Most of the self taught people are out there starting enterprises and changing whole industries. If you look at the list of top billionaires, you will find a big percentage that dropped out of college or never went to college. It is not that they rejected learning, they chose to self learn. As a way of promoting self learning, the ministry of education should find ways to appraise and accredit self learners if they desire such accreditation for formal employment. Availing syllabuses and course outlines for such self learners would be a starting point. Local learning institutions should also join their peers in offering materials online for people who wish to self learn. In the long run however, self learners are best placed in learning skills that help them create their own income generating activities, starting their own enterprises and improving their own core skills. This does not necessarily put them below accredited learners. It gives them the flexibility to learn the essential skills therefore giving them a practical edge in what they choose to apply their skills in.